... was her two front teeth. It really happened. 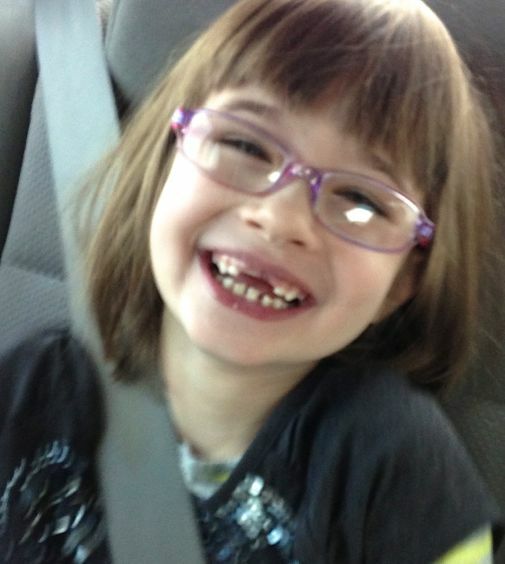 Bea lost both of her front teeth, just days before Christmas. She was all smiles showing her grandparents, aunts, uncles and cousins. I asked her if she thought the tooth fairy might bring her a pink bunny Pillow Pet (since Santa had forgotten.. oops), and she said "Mom... the tooth fairy is too little. She can only carry small money."